Are you enjoying the summer sunshine outdoors? Perhaps trying to catch em’ all? I’m not sure about you, but I feel too hot sometimes. That’s why I searched on the internet and compiled this list of refreshing and delicious iced coffee recipes. Are you feeling too hot as well? If so, then you need to try these iced coffee recipes out – it’ll keep you cool and help you survive the heat, PROMISE! Never heard of Horchata right? It's a rice-based drink from South America, and it's DELICIOUS! 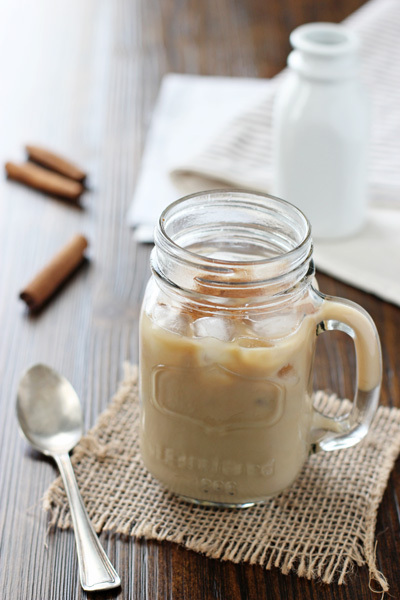 The recipe is right here: Horchata Iced Coffee. The best S'mores iced coffee I found, mmm the marshmellows - I love it! Looking for a refreshing, flavorful, and easy iced coffee recipe? You should try out the Spiked Thai Coffee then. This is definitely one of the most artisan recipes on the list. Who doesn't love salted caramel? Adult iced coffee here. Enough said? A healthy alternative to the usual mocha frappuccino that you're used to in Starbucks. More delicious mocha frappuccinos incoming - this time with a Hawaiian twist. Recipe: Cookies n' Cream Iced Coffee Frappuccino. Love Starbucks? Check out the copycat mocha frappaccino recipe here! EVEN BETTER, the ferrero rocher edition. Get the recipe. Follow this recipe to make make a frozen caramel macchaito at 1/10th the cost of those large coffee chains. More cooling starbucks recipes here. Check out this LeelaLicious recipe here. Delicious cookie dough iced coffee, dreamy flavors that's perfect for Summer! Check it out here. Get the recipe: Iced Salted Caramel Latte. Nutella version, obviously. Recipe here. A delicious cup of espresso bursting with chocolate flavors and hint of salt. My personal favorite. Massive reese's fan here. Recipe Iced Sea Salt Coffee [Cold Brewed]. I get chills by just reading the phrase "toasted marshmallow", but together with "iced coffee"…OMG!!! Get the recipe. Learn how to make iced coffee just like any artisan coffee shops out there. An exquisite concoction of coffee, kahlua, vodka, and ice cream! Who doesn't want that? Read the full recipe here: Boozy Coffee Milkshake. Easy cinnamon vanilla recipe. Get it here. Get the recipe here: Coconut Cowgirl Coffee. I love Vietnamese food, so here's one more Vietnamese iced coffee recipe here. Well, here you go...all 39 refreshingly chilled iced coffee recipes for you to try out. If you want to bring your coffee to the next level, then you must use fresh beans - read about coffee grinders to find out more.